Watch the video on how this is done from step one. Targets – Giant wooden cable spools, wash tubs, or anything large enough for the dog to comfortably jump on. I like to use targets that are portable so I may practice directionals anywhere. I love the large metal wash tubs you can find at hardware stores. You helper should be someone who knows how to properly reward your dog. Start with only one target and lure the dog up on it with some treats or a toy in your hand. I like to have my dog sit once he has reached the target to prevent him from jumping off right away. 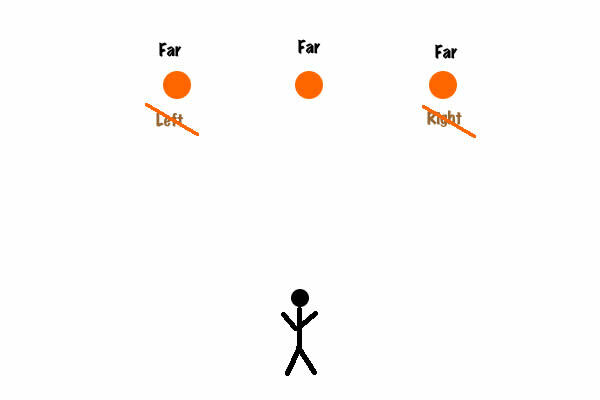 You may use the command “Far” as you are leading him to the target, “Hup” right before luring him to jump on the target, and “Sit” once on the target. The whole idea is to get your dog to go somewhere on his own. Once he is reliably jumping up on the target, you are going to need some help. While doing this on your own is possible, having a helper will really speed things up.You stay in one place and hold the dog if necessary while a Helper taps a toy or his hand with a treat on top of the target. You give the “far” command and release the dog. Your helper may lure the dog up if necessary, but you give all of the commands. Next, the helper taps the toy on the target and stands a couple of steps away from the target. Practice this until your dog runs and jumps reliably. Now simply give the dog the commands all by yourself. 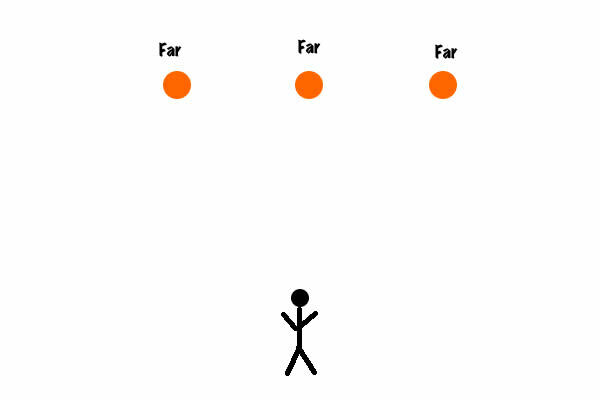 Try to throw the dog’s toy past the target or slightly to either side. (I still need practice at this) It will prevent your dog from anticipating the reward and jumping off the target to come towards you. Do this until he can do it nearly 100% of the time. Increase the distance a bit. Then, go to different locations to practice. Remember to start back at the original distance every time you go somewhere new! You may now add another target beyond the first one and ask for a farther command. 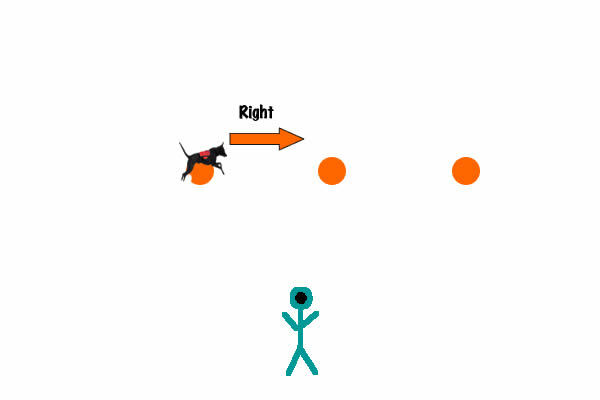 It is best to have a handler repeat the tapping on the first target, wait for you to command the dog up on the first target, then quietly move to the second target. You remain standing in one place! Your helper taps the toy on the further target and you command the dog with a farther command. If he keeps jumping off you need to restart him or put him back up on the first target yourself before returning to your original position. I want my dog to go out to a left or right target. How do I do this? First, always ask your dog to go FAR or away from you, THEN ask for a left or right. Why? Your dog needs the ability to pick a path up a treacherous rubble pile on his own. So, it does not matter if he goes diagonally left, right, or straight away from you on a far command. Once he has gone away from you, THEN you can give him a Left or Right command. 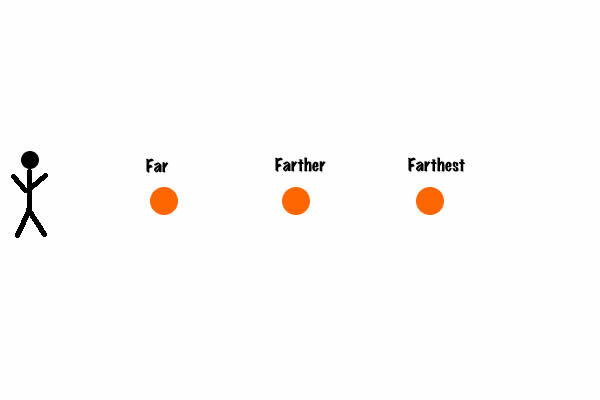 All of the targets above are FAR. Line three targets up in a row. First, ask your dog to go far. 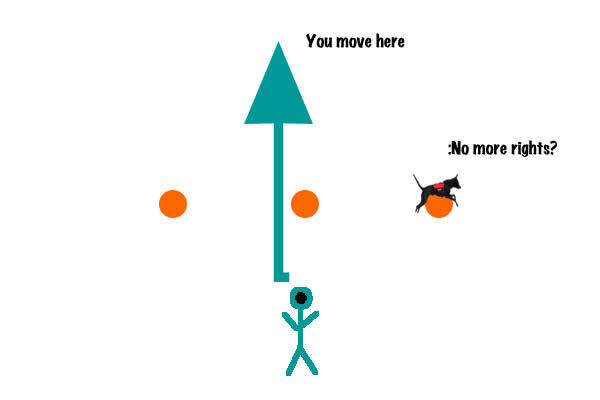 Then, walk around the targets so that from YOUR perspective there is a target to your dog’s Right. Teach only one direction at a time. If your dog has gone to an end target with no more targets to the right, simply walk to the opposite side of the targets and Wallah! you now have targets to the right again. Remember this is from the Handler’s perspective. 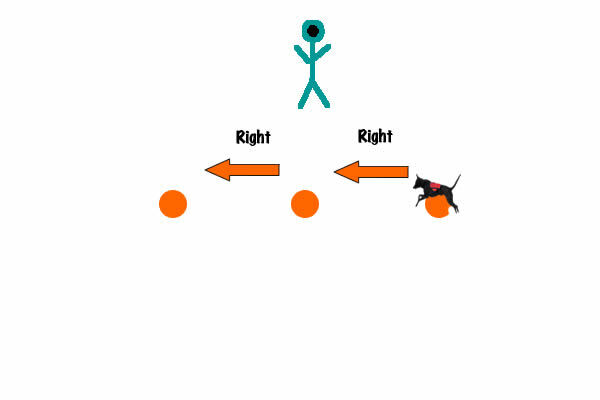 Do not move on to teaching “Left” until your dog can do “Right” reliably. If you have portable targets you can practice directionals anywhere. You can even practice on other targets such as benches, furniture, boulders, picnic tables …. The possibilities are endless. 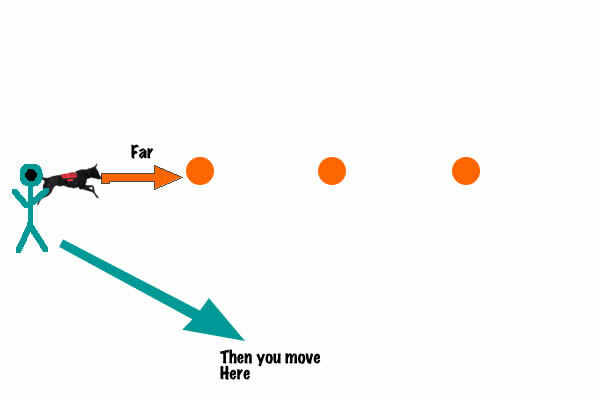 Just remember to move yourself in respective to a line of targets and you can teach any direction possible. This entry was posted on May 11, 2012 at 11:56 and is filed under dog training, pets, Search and Rescue with tags dog, training a search dog. You can follow any responses to this entry through the RSS 2.0 feed. You can leave a response, or trackback from your own site. I love these posts. I live out in the middle of nowhere (technically, southwest Virginia) and am trying to increase my training skills. Thanks! !